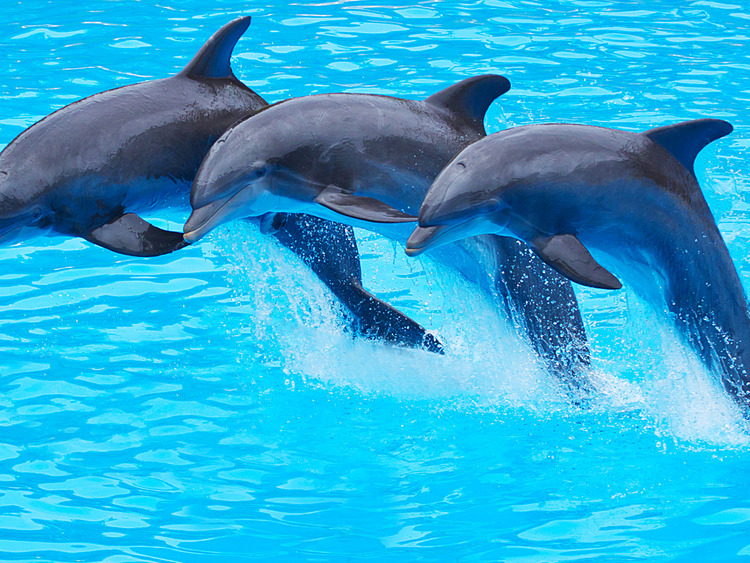 A visit to the Mediterraneo Marine Park for all of those who wish to acquaint themselves more closely with splendid bottlenose dolphins and enjoy a unique experience with these magnificent marine mammals. When we arrive the instructors briefly show us the visit program and give us instructions to prepare us for our encounter with the dolphins. Immediately after, we are ready to experience first-hand the beauty, agility and grace of magnificent bottlenose dolphins in all their beauty, agility and grace; we have a special opportunity to swim and interact freely with them in a unique setting under the watchful eye of qualified instructors. After our swim we can have a shower and we will also have the possibility to buy souvenir photos of ourselves for a lasting memory of this encounter with these splendid animals. Before returning to the port, we have some free time to visit the rest of the Marine Park. Pregnant women are not allowed on this excursion.